The 26-year-old Brazil star affirmed that he will be remaining in France as he returned to Spain for a commercial trip. 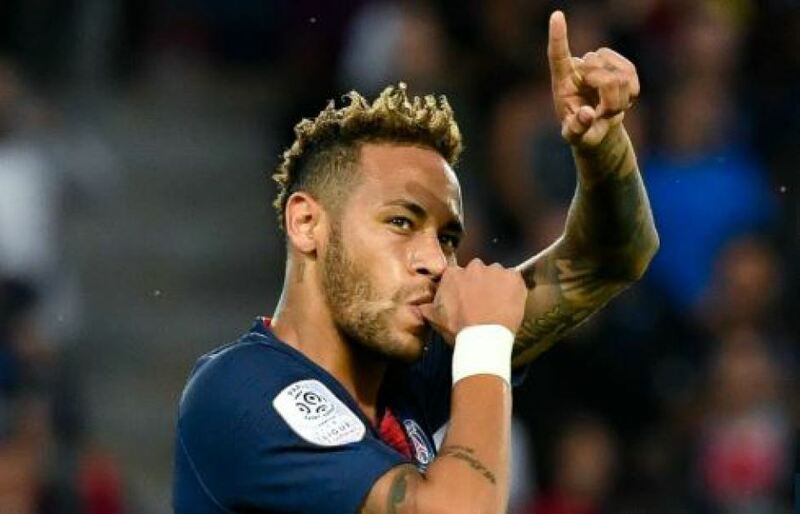 Neymar returned to Barcelona’s training ground on Monday to visited his old friends, but the superstar insisted he has no intention of leaving Paris Saint-Germain. The Brazilian left Barcelona to join PSG in a world record €222 million deal last summer and had been strongly linked with a switch to Real Madrid in this transfer window. But he said his return to Barcelona for advertising commitments wasn’t an indication of his future plans. “I have a contract with PSG and I will be staying there,” He told TV3. 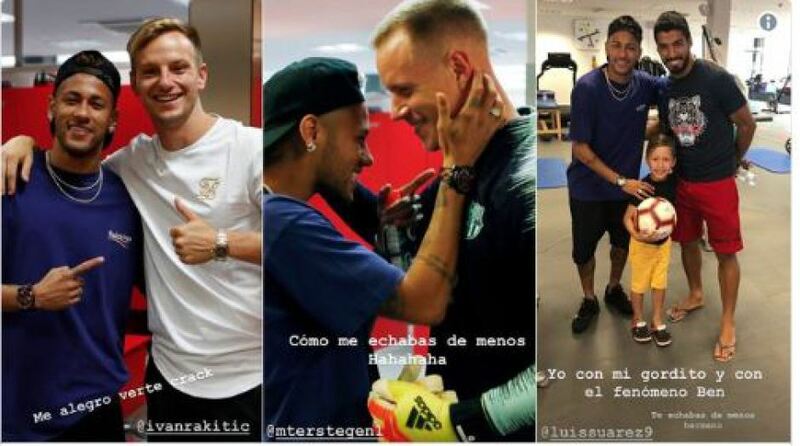 Neymar, who scored in PSG’s 3-1 win against Angers on Saturday, posted photographs on his Instagram account with Ivan Rakitic, Marc-Andre ter Stegen and Luis Suarez after catching up with his former teammates. Meanwhile, Barcelona defender Samuel Umtiti said he believes Neymar and Kylian Mbappe can play together in the same XI for PSG this season. PSG will pair Neymar in attack with Mbappe, who cost €180m after an initial loan from Monaco. Despite their spending, PSG fell short in the Champions League last season, exiting the competition in the round of 16 against Real Madrid. 0 Response to "BREAKING! Neymar Returns To Barcelona Just A Season After Moving to PSG (Photos)"